is a biographical novel that traces four generations of the author’s family. 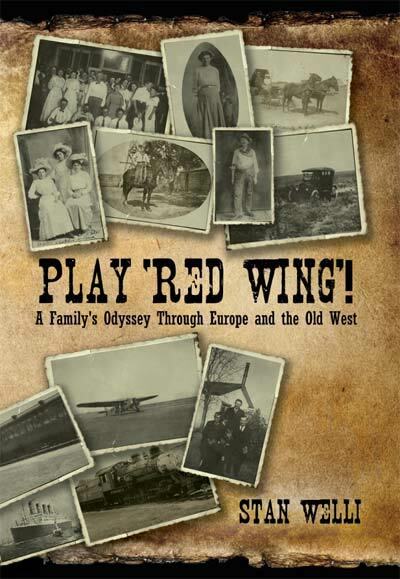 It chronicles their lives and migrations from Prussia to Austria, to Ohio, to the Oklahoma Territory, back to Europe after World War I, then once again to America, finally settling in Pratt County, Kansas. Each move was for a different reason. The saga runs from 1862 to 1938, highlighting the fourteen years in which they homesteaded in the Oklahoma Panhandle. There, the third generation son is a musician at the “all night dances” held on ranches and homesteads. The story also relates the impact of major events on the family: the Austro-Prussian War (1866), World War I, the Great Depression, the Dust Bowl and the rise of Nazism in 1930's Germany. It’s a tale of immigrants, love, war and the roots of American music and dancing. Books or movies about the Old West often portray musicians as nameless, faceless individuals lost in the background. This book helps tell their story. These musicians played for pure enjoyment in farm or ranch houses, barns, and town halls at dances lasting all night long. During the nineteenth century and the early twentieth century, those Saturday dances were, for many people, the most important social events of their lives and were the glue that held fledgling communities together through good times and bad. PLAY ‘RED WING’! is a song request. “Red Wing” was written by Kerry Mills in 1907 and on November 16 of that year, Oklahoma became the 46th state in the Union. Thus, the book celebrates the centennial of both the song and the state.